FBI agents thwarted a bomb attack planned for the upcoming Fourth of July celebrations in Cleveland, Ohio, and arrested the alleged suspect, authorities announced at a press conference on July 2. 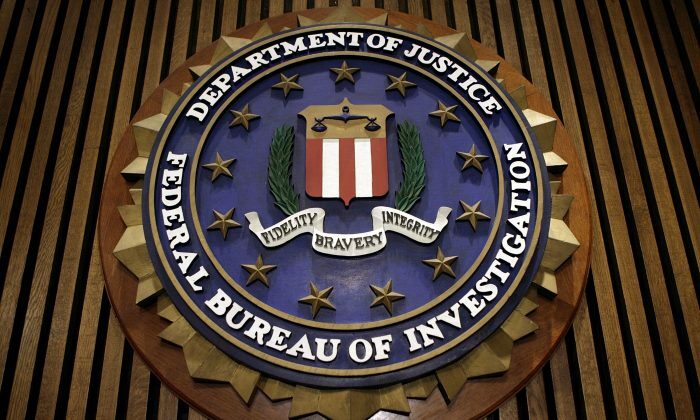 According to an affidavit, members of the FBI’s Joint Terrorism Task Force arrested Demetrius Nathaniel Pitts, also known as Abdur Raheem Rafeeq, on July 1, after he met and revealed his plans to an undercover agent. Pitts, who had shown his support for the al-Qaida terrorist group for over a year, talked about setting off bombs at the upcoming July 4 parade in Cleveland and a later attack in his hometown of Philadelphia. Authorities had first started monitoring him in 2017 after he wrote multiple disturbing posts on social media that promoted violence and acts of terrorism in support of al-Qaeda. “His Facebook posts were, quite frankly, disturbing. They included words to the effect that ‘we as Muslims need to start training like this every day,” Stephen Anthony, special agent in charge of the FBI’s Cleveland Division, said during the press conference. Pitts was charged with one count of attempting to provide material support to al-Qaeda, according to the Department of Justice (DOJ). He is expected to make his first court appearance on July 2. The 48-year-old suspect is an American-born U.S. citizen residing in Ohio. If convicted, he faces a statutory maximum sentence of 20 years in prison. “Terrorists reject the ideals this nation was founded upon—the ideals we celebrate on July Fourth and which our law enforcement officers lay down their lives for every day,” Attorney General Jeff Sessions said in a statement. In 2018 alone, there have been 28 terrorist attacks across the globe perpetrated by those supporting al-Qaeda, according to crowdsourced data from the Esri Story Maps team in collaboration with PeaceTech Lab. A total of 165 people were killed from those attacks. Between 2015 and 2017, Pitts had expressed “anti-American sentiments and expressed a desire to recruit people to kill Americans.” On June 22, the suspect met in Wilton Hills with an undercover agent, who Pitts believed was a “brother,” to discuss the attack. The pair then searched Google for a map of downtown Cleveland. After they learned that fireworks would be launched from Voinovich Park, Pitts said: “Oh, there you go. Oh yeah.” He was also happy that the park was located near the U.S. Coast Guard station, the Army Corps of Engineers, and the Celebrezze Federal Building, according to the affidavit. At one June 27 meeting, Pitts and the undercover agent met in Maple Heights before driving to downtown Cleveland, where they again discussed the July 4 bombing. Pitts emphasized being in a good coverage location to see the actual bomb go off. “And I’m gonna be downtown when —thewhen the thing go off. I’m gonna be somewhere cuz I wanna see it go off,” Pitts said. The suspect also intended to travel to his hometown of Philadelphia, to “go look at the base of the ground” and that it was up to the other “brothers” to finish the different parts of the attack. On the day of his arrest, Pitts met with the agent again in Garfield Heights, Ohio, to explain more of his plan regarding the attack in Philadelphia. He told the agent that a truck bomb packed with explosives would be the best method to cause the most damage. Cleveland Mayor Frank G. Jackson released a statement on July 2, thanking the authorities for their efforts. The case is being prosecuted by assistant U.S. attorneys Michelle Baeppler and Matthew Shepherd of the Northern District of Ohio, and trial attorney Paul Casey of the National Security Division’s Counterterrorism Section.